The verb ‘to schiphol’ gets a new meaning. Until recently, the word stood for ‘adjusting the calculation method so that the noise pollution disappears as if by magic and the airport can continue to grow’. In the meantime it has become synonymous with ‘creating a policy vacuum so that you can make as much noise as you want’. The inspection service ILT should actually maintain the agreed noise limits, but looks away, in view of the arrival of new noise contours. The ILT already measures according to the new method, but because it has not yet been approved, violations are not penalized. The local residents lose out once again. 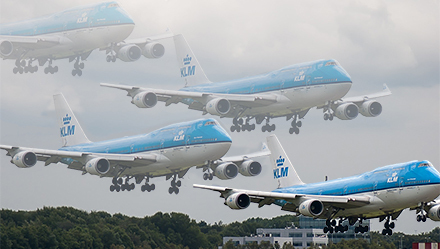 The pressure to continue letting Schiphol grow, is increasing. On Friday, the employers’ organization VNO-NCW sent a letter to the government requesting that the current ceiling of 500 thousand flight movements be increased to 600 thousand. The arguments are always the same. If the airport is not allowed to expand, the position of the main port is jeopardized. The practice is that the growth in recent years has mainly been caused by price fighters, who take Dutch tourists on city trips and drop masses of European tourists in the capital. Schiphol has pursued an active policy for years to bring them to Amsterdam. This is unwanted growth. These flights are not crucial for the position of mainport. By allowing them, Schiphol and the government stimulate environmentally harmful behavior that they should discourage. The politicians must not raise the ceiling, but make efforts not to let this air traffic grow any further. Flying must be more expensive. This can be done by accelerating the introduction of a flight tax at Schiphol, which will drive away part of the price fighters to cheap airports elsewhere. The alternative, the train, has to become cheaper at the same time. This can be done by lobbying at a European level for a substantial investment in the railways and by abolishing VAT on train tickets. It is incomprehensible that the train is now – often much – more expensive in almost all cases.